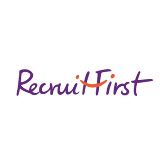 Grow your company with RecruitFirst! The business environment today is a highly copetitive one, which is ever evolving. Having the right human resource business partner with a strong network of consultants and candidates has become key to the success of industry leading businessess. RecruitFirst is the fastest growing human resource consultancy in the Asia Pacific. Our mission is to Helping People Find Better Jobs and Oragnisations Finds Better People. We live by this mission by ensuring that the best candidates and employers are connected via the rigorous recruitment processes and extensive database that we are continuously developing. Be the first to recruit with us and start realising the value-add that we are able to provide to your organization! Enjoy the expansive array of human resource solutions and network which RecruitFirst has to offer.